Yesterday was D-day for the eight startups involved in SPH Plug and Play’s three-month accelerator programme — a joint venture between Singapore Press Holdings (SPH), and Silicon Valley’s Plug and Play and Infocomm Investments, the venture capital subsidiary of the Infocomm Development Authority (IDA). The startups were selected from about 280 teams from around the world, and shortlisted teams had to undergo a 10-week boot camp to refine their ideas and scale their businesses. 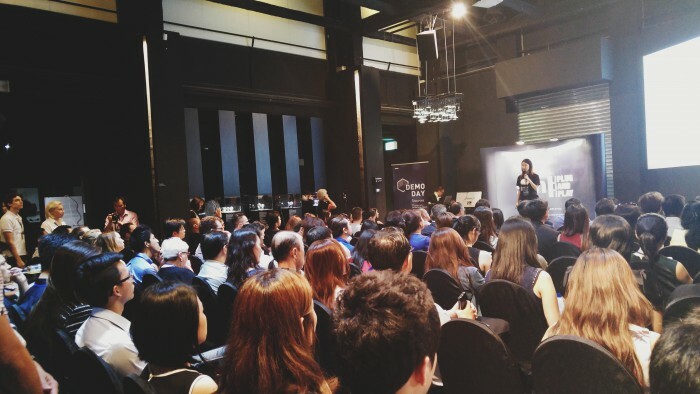 SPH Plug and Play Demo Day 2015‘s eight featured startups come from diverse industries from Singapore, Malaysia, and Hong Kong, and are an interesting mix of content and content curation, learning, employment, lifestyle and data analytics. Held at the Red Dot Design Museum, the lucky eight got the chance to make their pitch to investors and the industry to secure funding for the next step in their startup journey. For attendees and members of the media, it was an opportunity to get to know the startups and learn more about the progress they made during their period of mentorship. We got an insight into how they bettered their products, reached out to gain users, and also explore partnerships with other brands. 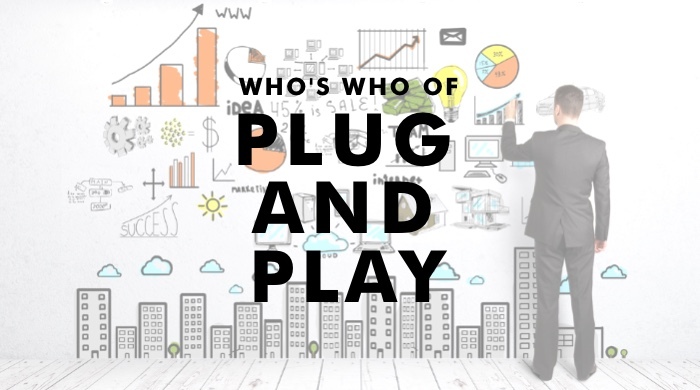 “The journey is a tough one and we will continue to support our startups as they grow,” said Jupe Tan, vice-president of international operations at Plug and Play. Founded in 2012 in Kuala Lumpur, Yellow Elevator is a platform which provides solutions in the field of talent search and recruitment. Using an employee referral system, employers can look to seek and hire the best and most suitable candidates through the social networks of their employees. Now operating in Singapore as well, Yellow Elevator aims to meet, engage, and build strong recruitment partnerships through its platform. 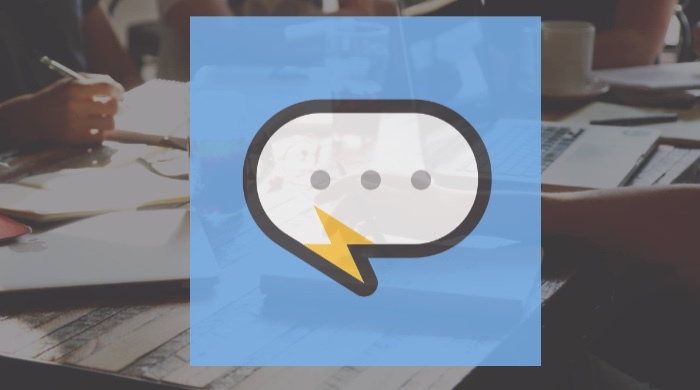 Bolt is a platform where brands and writers can connect to produce quality stories that help convey messages clearly. According to founder Yi Wen Chan, Bolt helps journalists and writers work closely with brands to drive content strategy, allowing both parties to meet their goals. A former journalist from The Business Times herself, Chan is passionate about good content that excels. She stressed the importance of telling great stories because it helps businesses connect with customers by getting them to buy into a company’s vision and ideals, and not just the products on display. Close to home is the issue of education and tuition. Hong Kong startup Snapask is a mobile app that allows students to ask curriculum-related questions at any time of the day. These will be answered by a pool of tutors on Snapask. For example: it is 2 am and there is a really tough ‘A’ Math question you need to solve — just snap a picture of your problem and send it on Snapask for tutors to come to your rescue. Snapask launched in September, but the firm already has a pool of 250 vetted tutors to respond to questions and over 1,000 student users. Phoebe Hung of Snapask said that the education and tuition landscape in Singapore is similar to Hong Kong, which will make the app useful for students here. This is one app that we previously wrote about here on Vulcan Post. Tutate prides itself on being an app that “empowers the tutor”, and it works like a digitised assessment book, based on the current Singapore curriculum. Users work on their revision via the platform, and can even get their work assessed by a team of qualified educators. We’ve definitely come a long way from those dreaded assessment books from Popular bookshop — this is a major level up. An all-girl team presented Fashory, a fashion editorial platform which allows you to browse and shop at the same time. 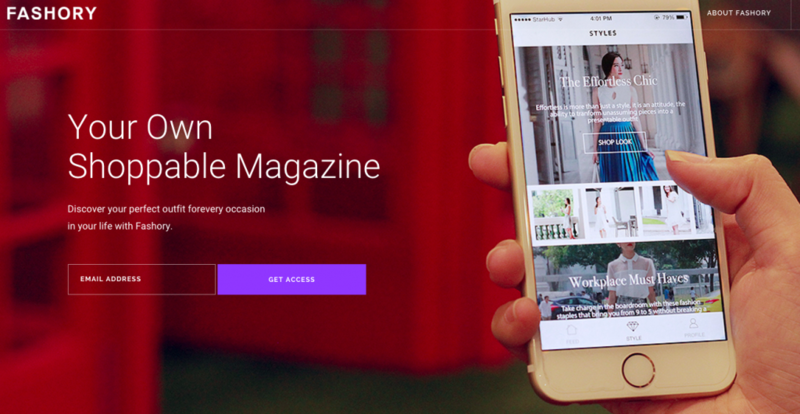 Dubbed ‘your very own shoppable magazine’, Fashory is the transparent app that removes the daily hassle of “what should I wear today” for contemporary women by providing them with the perfect outfit for every occasion in their lives. Fashory gets women the look they like, helping them to dress well and feel great in every aspects of life. Plus Margin is a predictive analytics platform that e-commerce retailers will find useful. How it works: Plus Margin analyses a customer’s purchase intent and shows relevant and targeted on-site promotions to increase conversion and sales revenue. It will analyse the shopper’s purchase journey and pathway to understand their digital behaviour, prompting even more conversions in a single session. While its quirky name lets on nothing, Circus 20/Twenty is a “next-generation social intelligence platform” that turns social analysis into marketing data for brands and agencies to utilise or for insight. If numbers and reports scare you, Circus 20/Twenty scans, analyses, and visualises data in an easy-to-understand and actionable manner. And this team has quite the portfolio, naming Audi Singapore and Coca Cola Myanmar as companies they’ve worked with. Innovators, creatives, and educators: Imagin8ors makes for quite the diverse team. This education technology start up wants the process of learning to be about nurturing the unique imagination and creativity inherent in each child. It strongly believes in a personalised approach to each child’s interests, abilities, character and learning styles.